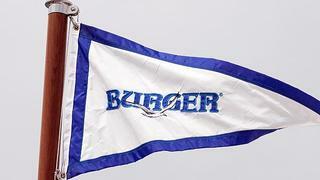 I don't really want to turn this into a Situations Vacant column, but Pete Bilski at Burger Yacht Sales says they're looking for an enthusiastic, experienced broker so here goes. 1) Five plus years of brokerage sales experience with large yachts. They have a particular preference for experience selling yachts over 70’ (21m). 2) Licensed and bonded in the state of Florida. 3) Prospecting history of large yacht customers. 4) Four year BSc/BA Degree preferred. 5) Excellent demonstrated interpersonal skills including large group presentation capability. 6) Significant working knowledge of Microsoft Excel, Word and Outlook. 7) Experience in the development of sales plans, measured by execution against plan. 8) Expertise in customer support. 9) Expertise in market analysis (trends, competitors, strategies).